Includes 2 sets of Threaded Unions! For cost savings, quiet relaxation and long service life, the Sta-Rite IntelliPro Variable Speed Pump is the single most valuable investment you can make in your pool. Sta-Rite IntelliProVariable Speed pump combines variable drive technology, onboard digital intelligence, and permanent magnet motors (used in hybrid cars) to reduce pump-related energy costs by up to 90%. 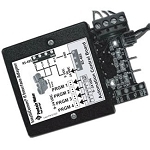 Complete compatibility with IntelliTouch, EasyTouch, SunTouch or other brands of digital pool/spa controls for managing pump, heating, lighting, spa jets, water features and more, from virtually any location. Purchased the Sta-Rite IntelliPro VS to assist with automation of my swimming pool. Also to reduce energy cost. This pool pump is very efficient and quite. I love it. Ordered on line and received in 2 days. Great service. Will recommend PoolCleaning Parts to all my friends, family and anyone that ask. This motor and pump seem to work very well. The motor is really quiet and the variable speed control so far has been easy to use. Pool Cleaning Parts was very responsive and the order was received quickly, I woudl be happy to use them again. Very pleased with the timeliness of the delivery of the pump after ordering. The price was the lowest I could find and the pump is working flawlessly. Very happy with the whole process. Perfect fit, had a Sta-Rite Pro pump before, and new unit is quiet, energy efficient and simple to use. Called originally for a different model, the staff member I talked to (John?) asked me a few questions and explained that I should be after a different model pump for my replacement. He was spot on; the transaction quick, and thanks to him, my Installation was a breeze. The pump was an exact replacement for one I already was using, so it needs no review. I received the pump within 20 hours after ordering and that was exceptional! Q: Does the Pentair Intellipro variable speed have 4 or 8 preset speeds? The brochure associated with the Intellipro VS shows 4. Q: Does the IntelliPro VS pump have a five year warranty? Q: Hi, Are your Sta-Rite IntelliPro VS pumps new? Will this pump fit my existing plumbing for a Sta-Rite pump? Q: What horsepower is this pump? 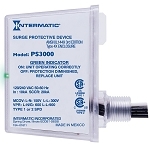 Sta-Rite IntelliPro VS local power company rebates. Sta-Rite IntelliPro VS Energy Savings Calculator.